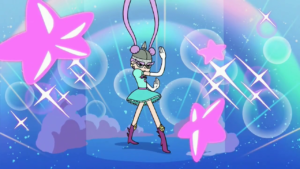 Daron Nefcy, creator of Star vs. the Forces of Evil, has mentioned shows like Sailor Moon being an influence on her work, but this week that went to a whole new episode. 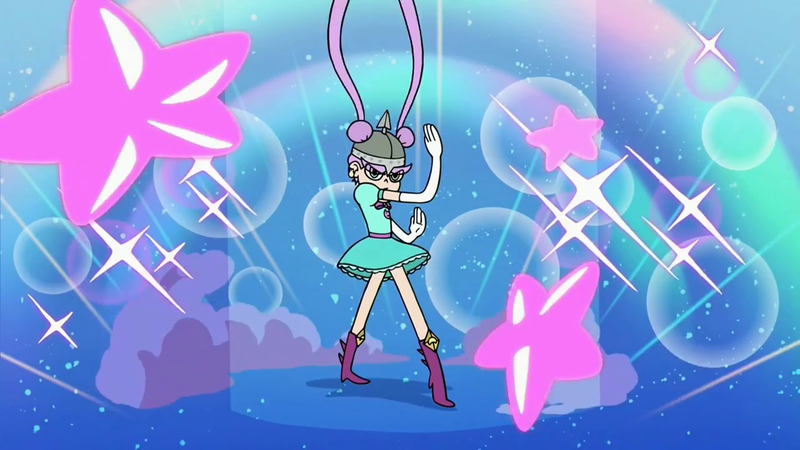 Towards the beginning of the episode “Starstruck,” the character of Mina Loveberry was introduced. She’s considered the greatest warrior of all time, and is Star’s idol. 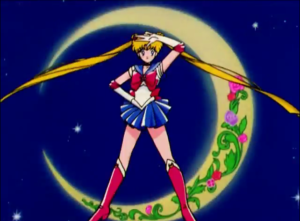 When we first see her she gets a full Sailor Moon transformation sequence, almost copied shot for shot. It was a loving tribute, and if that was all the episode gave us, then that would have been fine. It kept going however, later giving Mina another transformation scene into what seems a reference to Goku from Dragon Ball Z. That got me thinking, did this show just give a lesson about 90’s anime? Let’s look at this: Star would have been born in about 2001, meaning shows like the two mentioned above were still on in reruns. Based on looks and the fact Star grew up idolizing her, it would make sense Mina was a teenager when Star was born. Star looked up to Mina so much as a child, that when viewing her as a teenager, she was nostalgia-blind. She couldn’t look past the fact that this was her hero, to see her rules for combat were applied wrong at best, and crazy at worst. I’m not saying that 90’s anime gave life lessons as nonsensical as Mina’s, but the point holds up. For a lot of people, Goku and Sailor Moon were their first role models on television. It makes sense that they would try to live by their logic and defend them, even when it doesn’t hold up. The show never condemned Star for looking up to Mina, and people shouldn’t be condemned for looking up to their childhood heroes either. I think what this episode was trying to say though, is don’t let yourself by blinded by nostalgia and adoration for your heroes. Let them stand on their own laurels, even if that means letting go of them.